The pretzel, being symbolic of prayer and penance during Lent, is a small but powerful instrument in bring families to God. 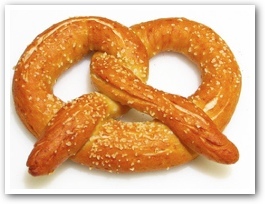 This entry was posted in Blog, Italian, Lenten Pretzel, Lenten Pretzel, Lenten Pretzel, Recipes, Towel Dry and a Good Cry, Triva and tagged Christian Easter tradition, Easter traditions for families, Italian tradition Lenten Pretzels, The Lenten Pretzel by judydeluca. Bookmark the permalink.